Some of the world’s most popular and loved noodles are from Asia and that’s where the Japanese noodle is from too. Asia is home to a wide variety of noodle dishes, and these noodle dishes always stand out with Japanese and Chinese most often at the forefront. These Japanese noodle dishes are prepared using different types of Japanese noodles, some of which were originally Chinese noodles, until they found their way to Japan. Made with the best condiments and seasoning, these noodle dishes are tasty and flavorful. They are quite filling and could serve as dinner any day. They could serve as lunch too and if you like, breakfast – a refreshing meal to start the day. And also, it doesn’t matter if it’s hot or cold, summer or winter, there are cold Japanese noodles as well as Japanese hot noodles to serve you, at all seasons! What’s more? These dishes could be made strictly vegetarian, no meat (you can have meat if you so desire) and still smell and taste great. Phew, I’m suddenly feeling hungry, are you? The first thing to take note of when planning to make these Japanese dishes is that one type of Japanese noodle cannot make every type of noodle dish out there. The dishes are tailored to the type of noodle so before we get to the best of these noodle dishes, let’s talk about the noodles themselves first. There are so many types of Japanese noodles and they’re very distinct from each other, in texture, appearance, shape, size, and even in taste. While some of these noodles will be strange to you especially if you haven’t been eating enough noodles at the Japanese restaurant down the street, a few like ramen, yakisoba and udon should definitely ring a bell. 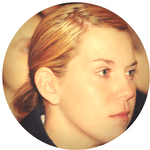 If they didn’t, then welcome to Japanese noodles 101 – your specially designed introductory class. Udon noodles are made from wheat flour and are really thick white noodles, perhaps the thickest of all Japanese noodles. They can be served during the summer season, chilled, along with a dipping sauce. 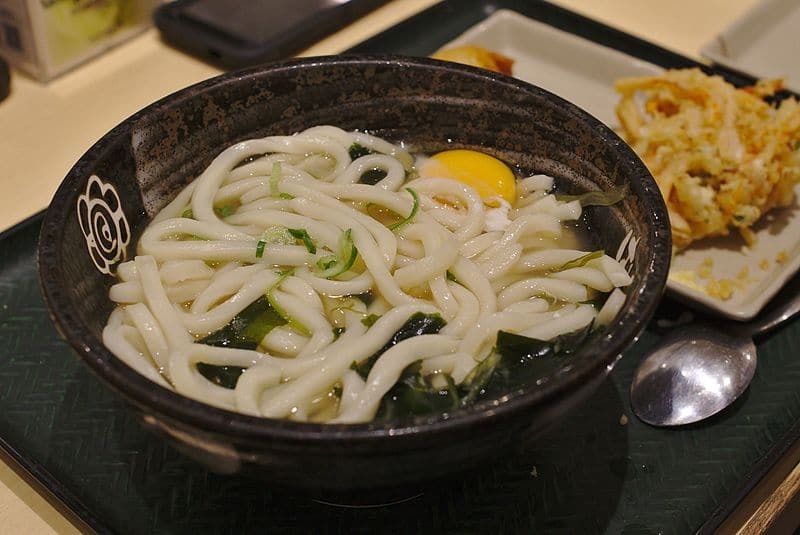 Chikara udon, this is usually served alongside grilled mochi rice cakes. The famous dish, sara udon, though bearing the udon suffix is actually made with a different type of crispy noodle. Udon are generally come as both dried udon or precooked udon hence before buying, read the label. Precooked udon are easier and faster to make, they are also mainly used in recipes that call for stir-fries or barbecued noodles. However, dried udon on the other hand will take a longer time to prepare and are best suited for simmering or boiling. Made from the konnyaku (konjac or devil’s tongue yam), it is extremely low in carbohydrate and calories though it offers little in terms of flavor by itself. They are thin, clear, gelatinous, and chewy, hence preferably used in dishes in need of texture like sukiyaki. 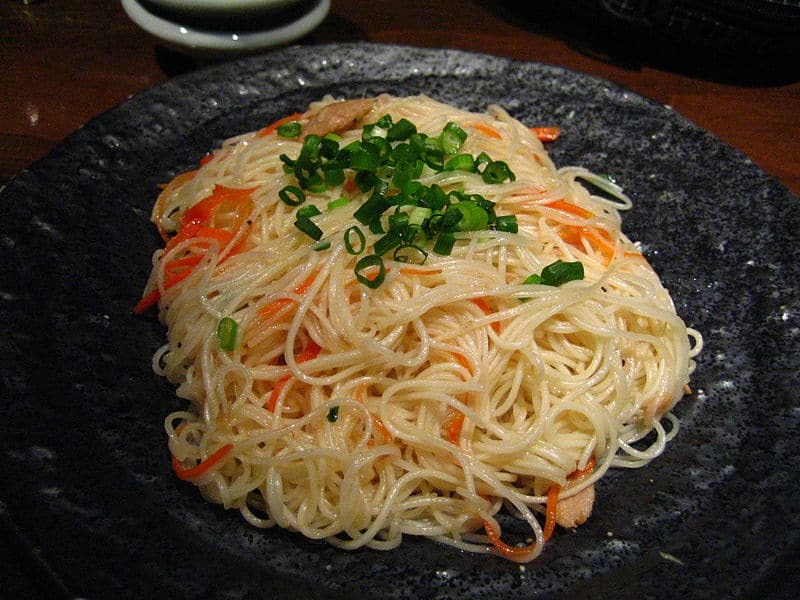 Shirataki is also known as ito konnyaku, or yam noodles among a few other names. They are of two types, the dry shirataki and the soft shirataki which is usually sold in liquid. Soup stock and sauce are two ways in which the noodle is commonly enjoyed. 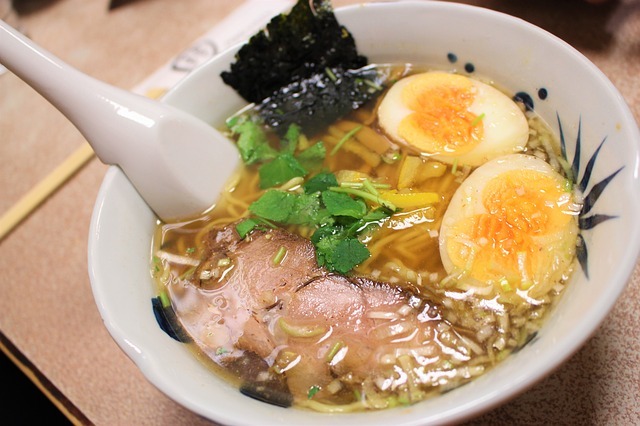 Ramen is both a noodle dish and a type of noodle itself. The dish is made using the ramen noodle, this noodle though originally from China has become part of the Japanese cuisine after its introduction many years ago. Miso ramen: Here, the miso paste is a significant ingredient in the soup. Another noodle made from wheat flour. If not for their thinness (1.3mm in width), they could easily be mistaken for udon or hiyamugi noodles. 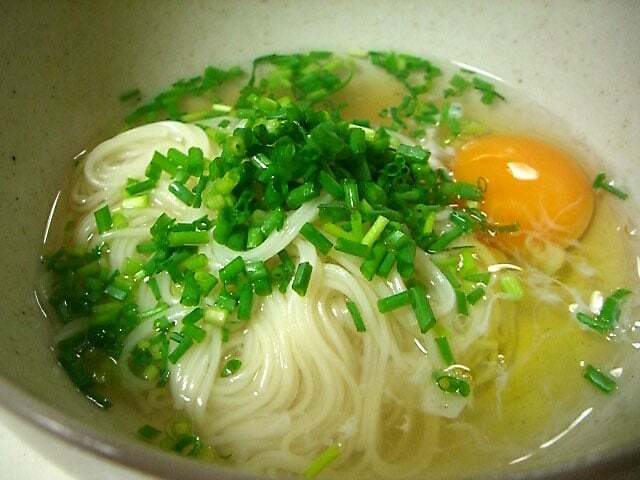 They are usually served as cold Japanese noodle along with dashi dipping sauce, sometimes, with soy sauce, during summer. It can also be served with tsuyu, a sauce with Japanese bunching onion, ginger or myoga as flavorings. Away from summer, they can be made into hot soups too and are called nyumen when this is the case. The origin of the dish is not yet certain, it is credited as both a Chinese and Japanese noodle, however, it features prominently in Korean cuisine too. Though usually white in color, a few other colors have been spotted although these colored somen are more common in Korean cuisine. Usually white in color too but it’s no surprise to encounter slightly pink or brown hiyamugi. The wheat flour noodles are strongly like the somen and the udon, the trio are most times distinguished on the grounds of size. The smallest being somen, udon the biggest while hiyamugi is comfortably in the middle of it all. Another important difference between somen and hiyamugi is that hiyamugi noodles are sliced by a knife to get the right thin size, while somen noodles are made by stretching the dough. 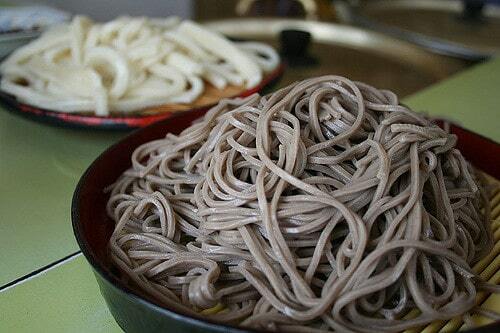 These noodles are not made primarily from wheat flour though it could be added to the primary making flour – buckwheat. They serve dual purpose too, can be made into hot broths or made chilled with a dipping sauce, they are also sold either fresh or dried. Zaru soba, a chilled dish. 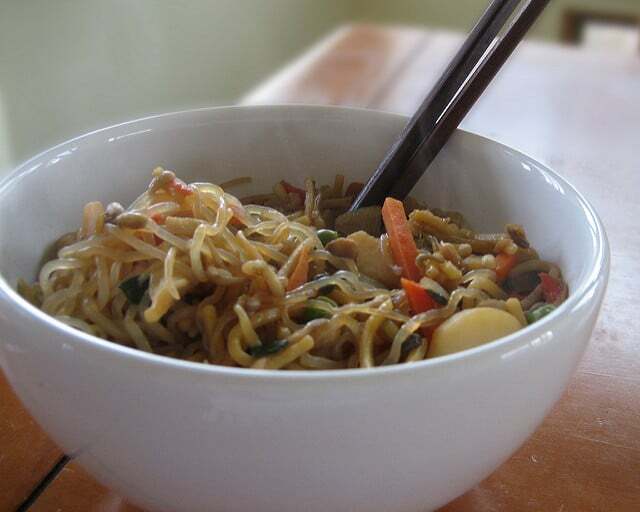 Note: Yakisoba, the very popular delicious Japanese noodle dish is not made with soba as the name implies, it is made with a chukamen, a Chinese-style noodle. Harusame – made from potato starch and appear glassy. 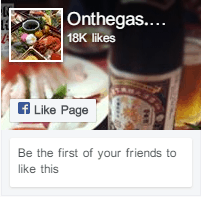 They are particularly favored when making salads or hot pot dishes. Yakisoba – though not the actual name of the wheat flour noodle used in making the dish, it is considered a type of noodle by many. It is more of a dish made with a different noodle, than a type of noodle. Some have already been mentioned while talking about the different types of Japanese noodles. Some of the dishes might be simply referred to as the type of noodle it is made with just like the Japanese curly noodles, ramen, though a noodle, it is commonly used to refer to any type of dish made with ramen. Soba noodles: This type of noodles is always a delight and there are so many soba noodle recipes that are really delicious. Soba can be served either hot or cold. Some good ways to enjoy soba are soba noodle with sesame dressing; soba noodle and edamame salad and grilled tofu; or you could make Japanese beef noodles with soba. 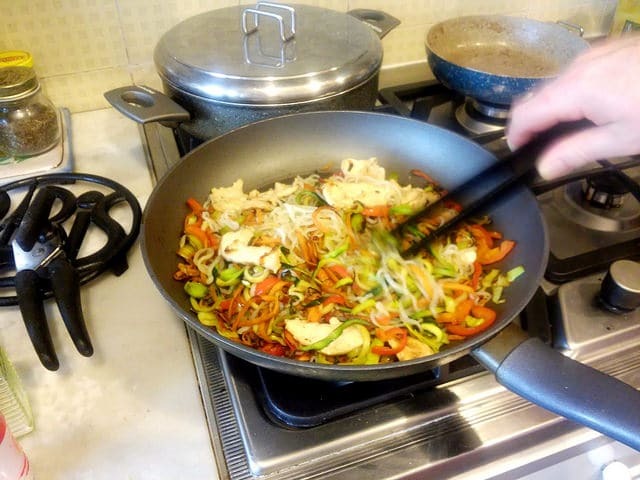 Yaki udon: The dish involves stir-frying the udon in butter and soy sauce. Thick, chewy and delicious, it is further garnished with scallions and any tasty topping. Miso ramen: The umami flavor from the white miso paste being used infuses into the broth, it’s filled with rich vegetables along with a boiled egg, fish cake or sesame seeds as garnishes and thus paving way for a really delicious and wholesome Japanese soup noodles. Yakisoba: Popular. Very popular and just one bowl of yakisoba is enough to have you hooked. Yakisoba after being stir-fried with meat and vegetables, it is then seasoned with the yakisoba sauce, a sauce that taste very much like the Worcestershire sauce. Tonkotsu ramen: Tonkotsu ramen broth is made with pork bones, uh huh, tasty and flavorful. Champon: A colorful dish that originated in Nagasaki. This dish is made by boiling the thick chewy noodles in a broth that has already been infused with ten different ingredients. Nyumen: Another hot soup noodle to cool you when you’re cold. This dish is made with somen noodles and also, you could add either meat or/and vegetables to it. Kitsune udon: Thick, soft and chewy, these noodles are served in a hot soup with seasoned fried bean curd (aburaage) as toppings. Rice noodles: These are noodles that are made from rice flour, they are gluten free and make for tasty meals. These are just a few dishes, there are many more, you could make them at home too! Japanese noodles were originally not served cold, they were only served hot. However, local diners realized that during the summer months, they made very little sales, most of their customers did not come in to eat the delicious noodles. Thus, they decided to create noodle dishes that could be eaten during the bizarre hot weather. condiments discuss as the spicy wasabi, ginger, daikon radish, and green onion. Hiyashi chuka: A cold noodle dish made with ramen, the dish has ingredients such as the charsiu, julliened cucumber, Japanese omelette that had been cut into very thin strips etc. The dish also makes use of the mentsuyu sauce or the ponzu sauce. Hiyashi tanuki udon: The subtle flavor of the udon noodle when made into a chilled dish can be better tasted. The dish is served with tempura crumbs topping and with a dipping sauce too. Nagashi somen: Now, this is one chilled dish that could make for a nice fun-filled dining experience. Host a party and then drop the noodles in cold flowing water running down a bamboo pipe and have fun as your guests show off their chopsticks skills. And of course, make available some doing sauce and toppings. 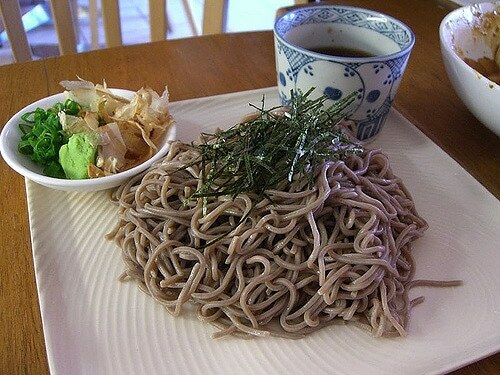 Morioka cold noodles: This dish was made by a chef who tried to recreate the cold noodle ate in Korea. Thanks to that effort, we have a delicious dish where kimchi can serve as topping and a rich soup made of beef bone. While we all love eating noodles, they can serve as a great challenge when trying to pick them up, especially when you’re unskilled with chopsticks. With fork, we can always find a way to perfectly be in charge of the slurpy noodles. So if you’re yet to master the art of using chopsticks, make do with a fork. If you ordered for a soup noodle, a spoon will most likely come along with it. If it does, fine, use the spoon to drink up the soup, and not to eat the noodles. If it doesn’t, you can always drink the soup out of the bowl, it’s acceptable. For those who love making slurping sounds when eating their noodles, you can do so with these Japanese dishes and not get frowned at. Slurping in Japan shows you’re truly enjoying the dish, so slurp on. The best how to eat any of these Japanese noodle dishes is to have a bowl right in front of you. That’s a start, later you can follow every other how and have more bowls. But for now, enjoy!